Former Minister of Aviation, Femi Fani-Kayode, has reacted to remarks by former Minister for Defence, General TY Danjuma that Nigerians should defend themselves against ethnic cleansing. Danjuma on Saturday said the unnecessary killings of Taraba people and other Nigerians must stop. Reacting, the former presidential aide said it was time to resist. 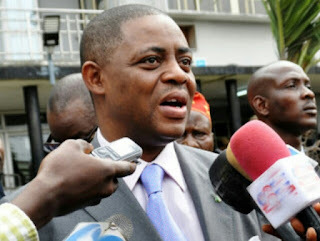 Fani-Kayode on Twitter wrote, ”There is an attempt at ethnic cleansing in the state and of course some rural areas in Nigeria. We must resist it.We must stop it. Everyone of us must rise up”- Gen. TY Danjuma,24th March, 2018. ”Our leader has spoken. I endorse his position. It is time to resist the barbarians. “The Armed Forces are not neutral. They collude with the armed bandits that kill Nigerians!” – Gen. TY Danjuma.